All the Colors of the Rainbow » Embroidery Talk Has Moved! I’ve often wondered why companies that deal with colorful items like, for instance, thread, use the phrase “all the colors of the rainbow” as a method of explaining how many colors they offer. In reality, all the colors of the rainbow would only be seven, red, orange, yellow, green, blue, indigo and violet, or so most of us were probably taught in elementary school. 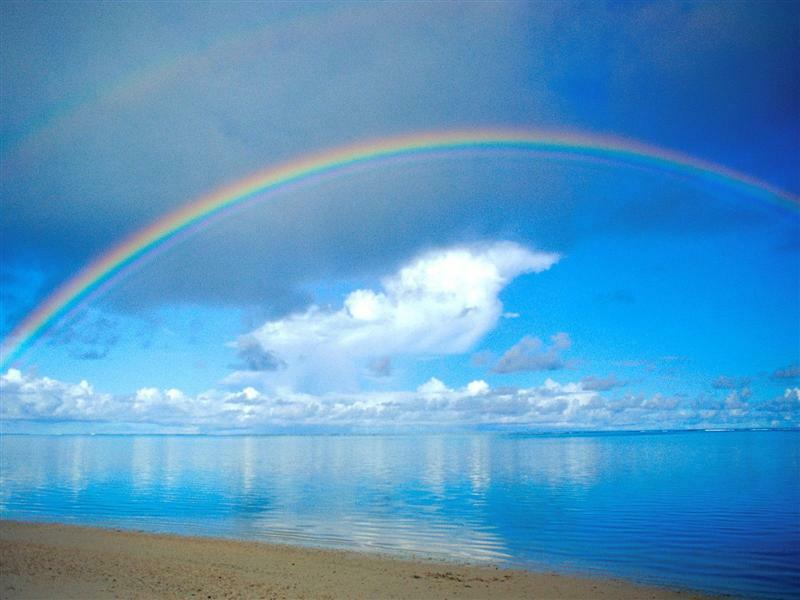 There have been arguments for centuries as to how many colors are actually in a rainbow. Aristotle argued there were only three. Seneca the Younger believed the rainbow contained a infinite number of colors. Scientists through the ages have studied what causes a rainbow and tried to pinpoint exactly how many colors were in one. Newton pointed out that all the colors of the rainbow combined, however many that might be, made white. Other scientists tell us that the colors we see in a rainbow are limited by our vision, and we can’t see all the colors that are actually there. Despite the debate over how many colors are in a rainbow, or over how many colors we can see when we see a rainbow, it has become the accepted symbol for items which are very colorful. It’s almost a cliche advertising slogan, if you want people to know your product, in our case thread, is very colorful, reference a rainbow. Everyone will instantly understand what you mean. The problem with referencing a rainbow is that we can only see the seven colors and while red, orange, yellow, green, blue, indigo and violet are beautiful when they span the sky, they’re a bit limiting when it comes to Iris thread. Red can be anything from neon red to brick red. Orange encompasses a spectrum that extends from dark Texas orange to orange mist. Very bright yellow is a much different shade than pale yellow, yet they are both still called yellow. One of the great things about Iris thread is the number of shades of color that we offer. Whether you’re looking for a soft baby blue for a baby shower gift or a vibrant pink that will stand out when you embroider your new black skirt, we have a shade that will suit your needs. Our thread charts give you a sample of each and every color available in polyester and rayon machine embroidery thread. In addition to our 5500 yard king cones, we also have 1100 yard mini king cones if you want to try a color before you commit to it entirely. EnMart also has an online thread cross reference engine if you need help converting from your current thread manufacturer to Iris thread. Our conversion engine contains the closest Iris matches available for most of the threads made by the other major thread manufacturers. Please keep in mind that matches may not be exact, but will be the closest Iris shade available. If you’re just starting to build your personal rainbow of thread, or if you’re looking to add more shades of color to a rainbow of thread that already exists, we invite you to take a look at the many colors of Iris thread we offer. We’re confident that our variety of colors, coupled with the quality of Iris thread will convince you that your personal thread rainbow should always contain Iris. This entry was posted on Thursday, October 7th, 2010 at 10:31 am and is filed under Thread. You can follow any responses to this entry through the RSS 2.0 feed. Both comments and pings are currently closed.